O’Donnell blends up new cocktail « Big Squid RC – RC Car and Truck News, Reviews, Videos, and More! It’s not often that we bring news of a new nitro fuel. 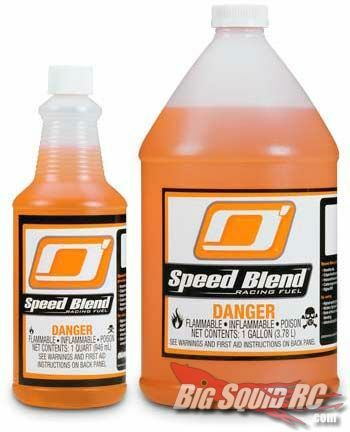 Most manufacturers are happy with their blends and haven’t mixed it up much lately. The O’Donnell gang wasn’t satisfied though, so they went back to the drawing board and came up with their new Speed Blend. They even go so far as to say that this new fuel offers up smoother idle, crisper throttle response, and cooler temps. All of which are probably good things to those of you that use nitro. Also, it’s orange. 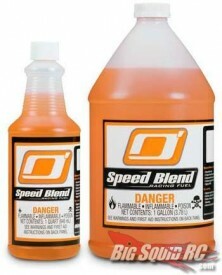 The Speed Blend will be available in 20%, 25%, and 30% blends, and prices range from $10.99 – $12.99 for quart size and $29.99 – $34.99 for a gallon. Check out the O’Donnell Racing Fuel web site for more info. *Big Squid RC Management would like to officially apologize for Jeff’s lame attempt at a joke. He has been punished.